President Donald Trump has announced the withdrawal of all 2,000 US troops from Syria as he abruptly declared victory over ISIL in the country, in a move that contradicted his own experts’ assessments and sparked suprise and anger among senior fellow Republicans who railed against it. “We have defeated ISIS in Syria, my only reason for being there during the Trump presidency,” he said, referring to the armed group that once controlled vast areas of Syria and Iraq but is now confined to small pockets. US officials said many details of the troop withdrawal had not yet been finalised, but they expect their country’s forces to be out by mid-January. Washington began air raids in Syria in 2014, a year before US ground troops moved in to fight the Islamic State of Iraq and the Levant (ISIL, also known as ISIS) armed group and train Syrian rebels in the war-ravaged country. Later on Wednesday, Trump suddenly declared their mission accomplished, posting a video on Twitter in which he said is “heartbreaking” to have to write letters and make calls to the loved ones of those killed in battle. “Now it’s time for our troops to come back home,” said Trump, who has long stated a desire to bring US soldiers home from Syria. Trump’s unilateral decision immediately triggered demands from Congress, including senior Republicans, for more information and a formal briefing on the matter. A senior administration official, speaking to reporters on condition of anonymity, said Trump made the decision based on his belief that US troops have no role in Syria beyond combatting ISIL. The US president informed his Turkish counterpart, Recep Tayyip Erdogan, of his decision in a telephone call, the official said. 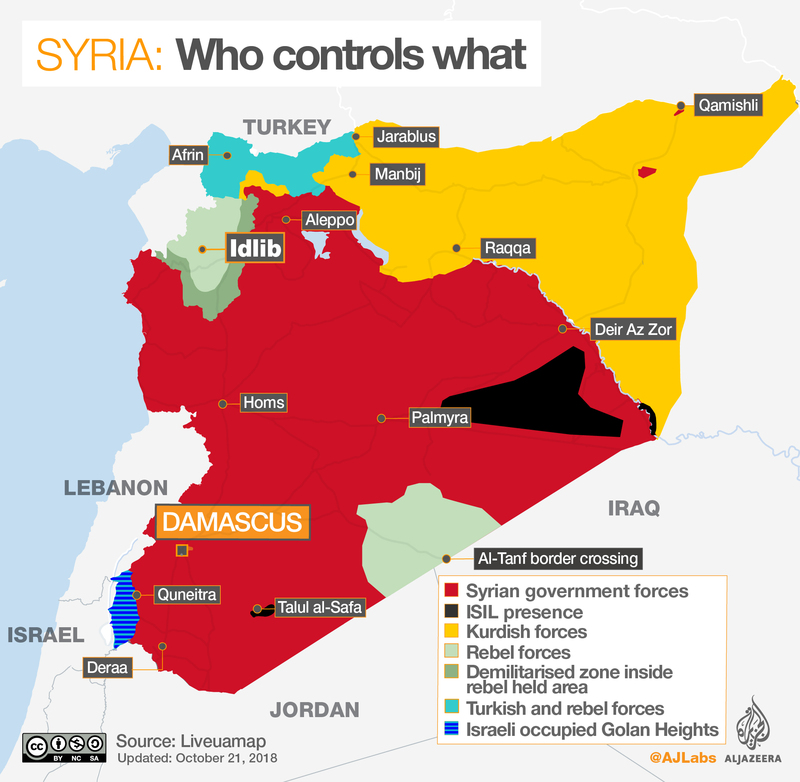 Turkey, a NATO ally, has recently warned that it would launch combat operations across its southern border into northeastern Syria against an alliance of Kurdish and Arab groups known as the Syrian Democratic Forces, or SDF, who have been allied with the US in the battle against the ISIL. The partnership with the SDF has outraged Ankara, which views the US-backed Kurdish People’s Protection Units (YPG) as an extension of an armed group fighting inside Turkey. In recent days, Turkey again voiced frustration about what it says are delays in the implementation of a deal with the US to clear the YPG from the town of Manbij, located west of the Euphrates in YPG-controlled areas. On Wednesday, Ahmet Berat Conkar, a Turkish MP who is also on the foreign affairs committee in parliament, said that the “US presence in northern Syria in cooperation with the YPG is a great risk”. He told Al Jazeera that the US presence in YPG-controlled areas “is creating problems between the two sides”. Following Trump’s decision, the SDF called in Manbij called for demonstrations against the US president’s move. Britain, meanwhile, said it strongly disagreed with Trump that ISIL had been defeated in Syria, while Israeli Prime Minister Benjamin Netanyahu said Israel would study the decision and would ensure its own security. In Russia – a major ally of Syrian President Bashar al-Assad, along with Iran – TASS news agency quoted the foreign ministry as saying withdrawing US troops from Syria created prospects for a political settlement. Trump’s declaration of victory was far from unanimous, and officials said US defense and military leaders were trying to dissuade him from ordering the withdrawal right up until the last minute. News of a full withdrawal drew immediate criticism from some of Trump’s fellow Republicans, who said that leaving strengthened the hand of al-Assad allies, Russia and Iran. Marco Rubio, another Republican senator, called the move a “grave error” adding that Kurdish fighters will stop fighting ISIL when they must confront Turkish troops crossing the border into Syria. “This is a bad idea because it goes against the fight against ISIS and potentially helps ISIS,” he said, warning it could trigger a broader conflict in the region. But fellow Republican Senator Rand Paul backed Trump’s decision. “For the first time in my lifetime, we have a president with the courage to declare victory and bring our troops home,” he told reporters. Military leaders have pushed back against a withdrawal for months, arguing that ISIL remains a threat and could regroup in Syria’s long-running war. US policy has been to keep troops in place until ISIL is eradicated. 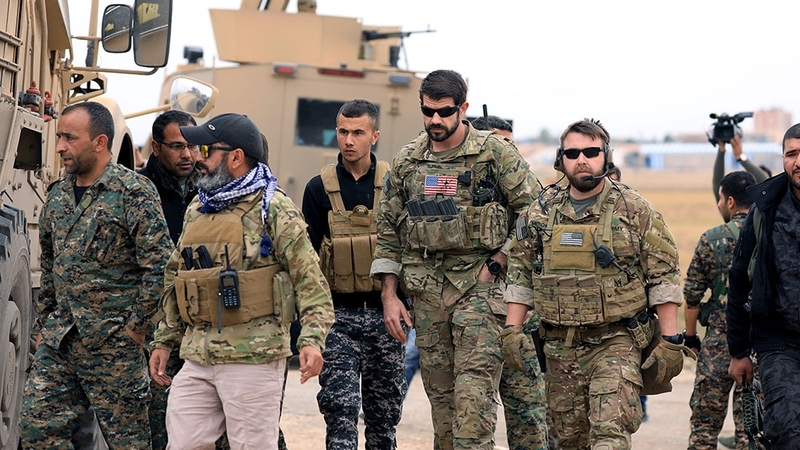 Just last week, Brett McGurk, the US special envoy to the anti-ISIL coalition, said US soldiers would remain in Syria even after ISIL was driven from its strongholds. “I think it’s fair to say Americans will remain on the ground after the physical defeat of the caliphate, until we have the pieces in place to ensure that that defeat is enduring,” McGurk told reporters on December 11. Meanwhile US Marine Corps General Joseph Dunford, chairman of the Joint Chiefs of Staff, cautioned earlier in December that the US had trained only about 20 percent of Syrian forces required to stabilise areas captured from ISIL. ISIL declared its so-called “caliphate” in 2014 after seizing large swaths of Syria and Iraq. It established its de facto capital in the Syrian city of Raqqa. According to US estimates, the group oversaw about 100,000 square kilometres of territory, with about eight million people under its control. It had estimated revenues of nearly $1bn a year. McGurk said last week that the group was down to its last one percent of the territory it once held in its self-styled “caliphate”. The group has no remaining territory in Iraq. After losing Hajin, ISIL will control a diminishing strip of territory along the eastern bank of the Euphrates. The group also controls some desert terrain west of the river in territory otherwise controlled by the Damascus government and its allies. 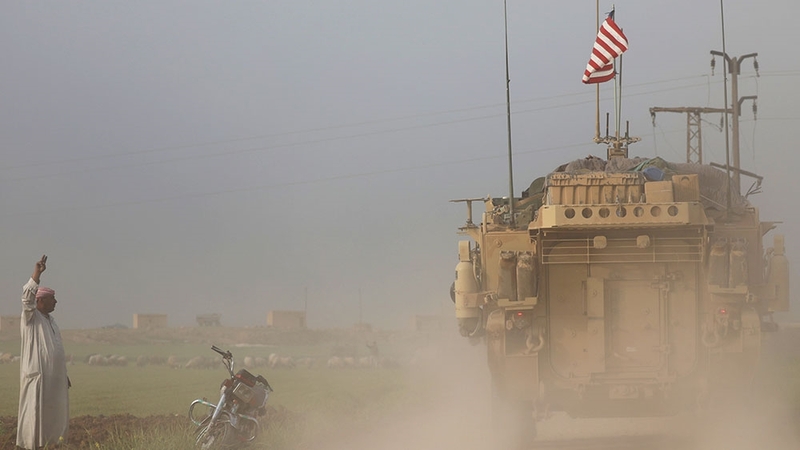 The complete withdrawal of US troops from Syria would still leave a sizeable US military presence in the region, including about 5,200 troops across the border in Iraq. Much of the US campaign in Syria has been waged by fighter jets flying out of Qatar and other locations in the Middle East. Still, US Defence Secretary Jim Mattis and US State Department officials have long fretted about leaving Syria before a peace agreement can be reached to end that country’s brutal war, which has killed hundreds of thousands of people and displaced around half of the prewar population of about 22 million. ISIL is also widely expected to revert to guerrilla tactics once it no longer holds territory. A US withdrawal could open Trump up to criticism if ISIL reemerged. Trump has previously lambasted his predecessor, Barack Obama, for the withdrawal of US forces from Iraq that preceded an unravelling of the Iraqi armed forces. Iraqi forces collapsed in the face of ISIL’s advance into the country in 2014.